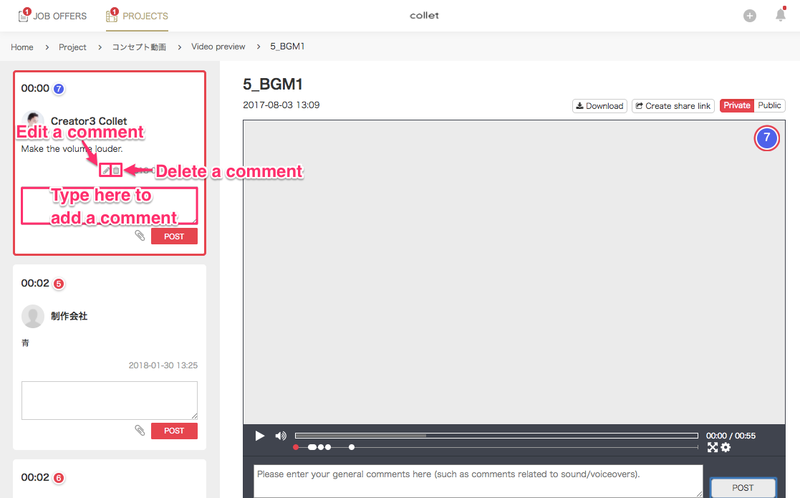 You can share videos uploaded to the project with non-Collet users and receive feedback from them. You can share videos by sending created URL to non-Collet users. 1.Click the video you want to share. to share if you want to. 3.Copy URL by clicking and send URL to the person you want to share the video. The person who received URL can view and comment on the video. 1.Open URL. If the password is set, type the password. 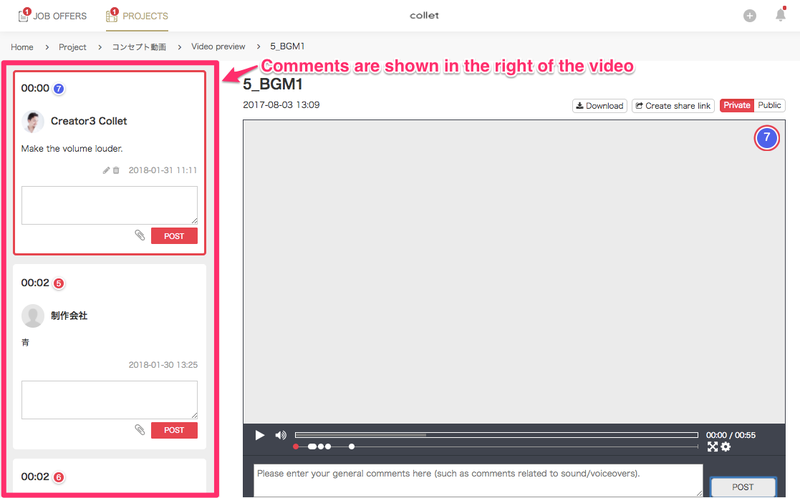 3.You can leave comments on the part or whole video. 2.Type comments and click "POST". 1.Leave comments on the text box under the video. *How to add,edit and delete comments from the button shown below. You can check comments from the video preview screen. You can check the history of creating URL by opening "History".